In July 2015, the Bayanihan Foundation supported travel to the Philippines with the NEXTGEN Fellows and the Kaluluwa Kolectivo. The following three blog posts reflect insights and experiences of that trip. Young resident of LIloan Cebu, a fisher folk community supported by the Bayanihan Foundation since 2011. In July 2015, I traveled to the Philippines with the members of Kaluluwa Kolectivo and the NEXTGEN Fellows. They were engaged in the Foundation’s efforts to conduct regular youth environmental workshops, encourage discussion of climate change and environmental sustainability, and prove how individuals everywhere can have a positive impact in their communities. 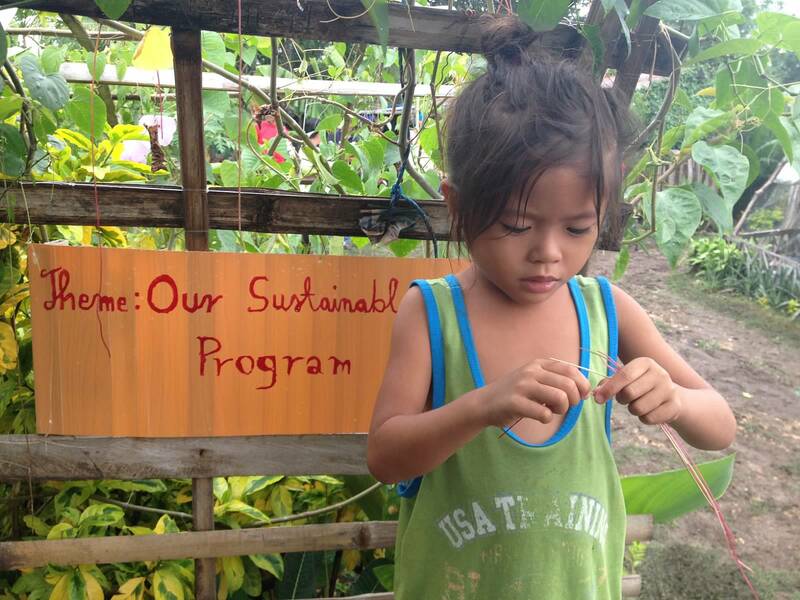 They were exposed to the sustainable community partnerships that the Bayanihan Foundation has supported for long-term local solutions for climate change. 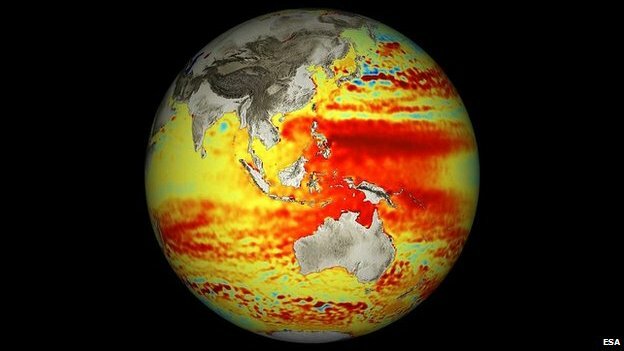 On September 2012, the BBC reported that 18 years of satellite observations provided a startling view of sea-level change around the world. Incorporating the data from a number of satellites, the study re-affirms that ocean waters globally are rising by just over 3mm/yr. However, that figure hides some very big regional differences – and unfortunately, the Philippine Sea has seen increases in excess of 10mm/yr (Amos: Satellite Traces Sea Level Changes, BBC, September 2012). 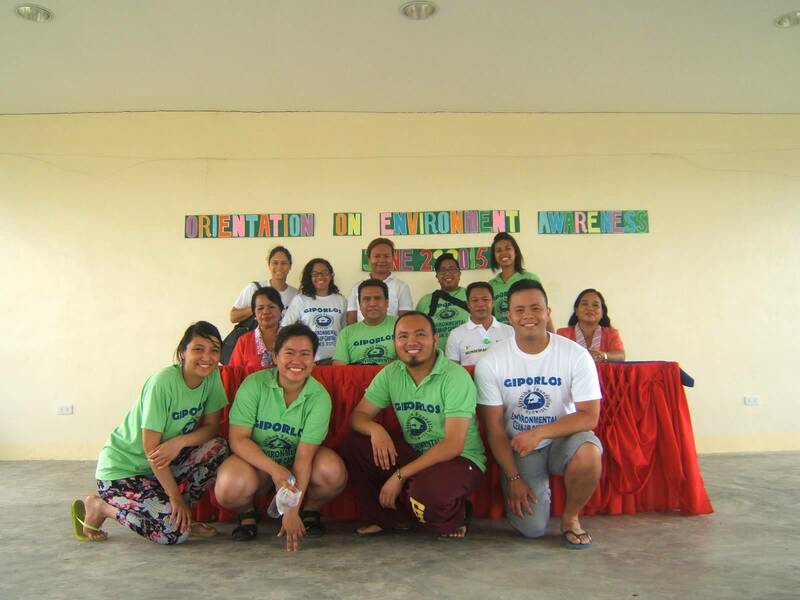 Since 2011, board member James Castillo has conducted youth environmental workshops in Liloan, Cebu. 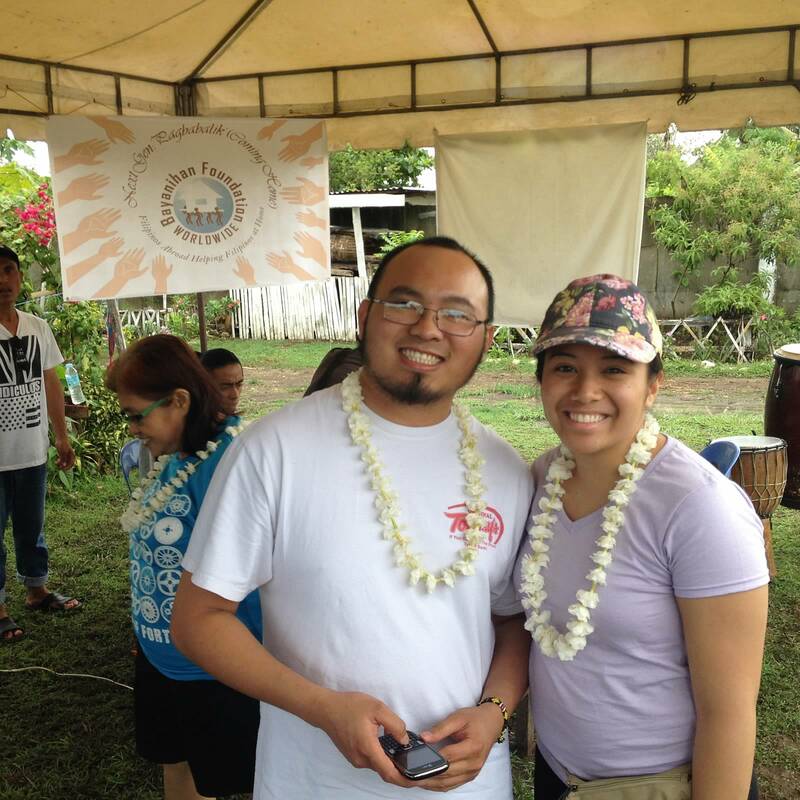 He and other donors of the Bayanihan Foundation, including Heman and Ruth Ezra and Cesar Conde, have enabled hundreds of local youth to attend environmental workshops to raise their awareness of climate change. 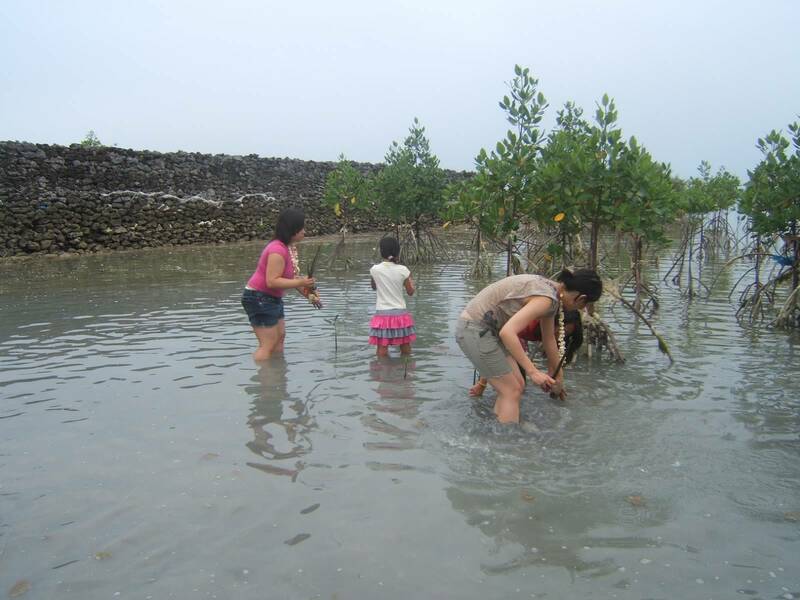 One effort has been the replanting of mangrove trees to re-establish environmental balance. Unfortunately, mangrove trees, which provide flood control and fish habitat in the area, have been greatly eradicated partly due to urban growth in Cebu. This decrease has threatened the way of life of many fisher folk community in Liloan. 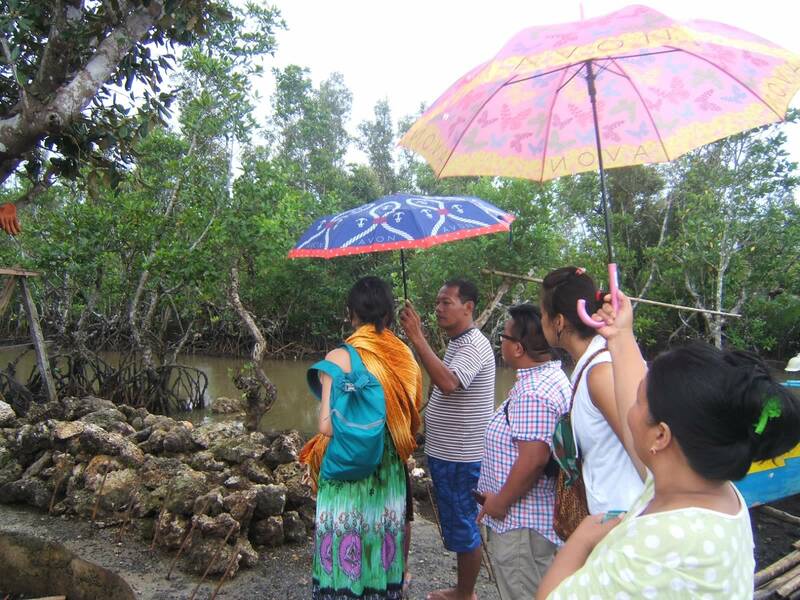 To combat this, hundreds of youth have planted over 20,000 mangrove trees since 2011. 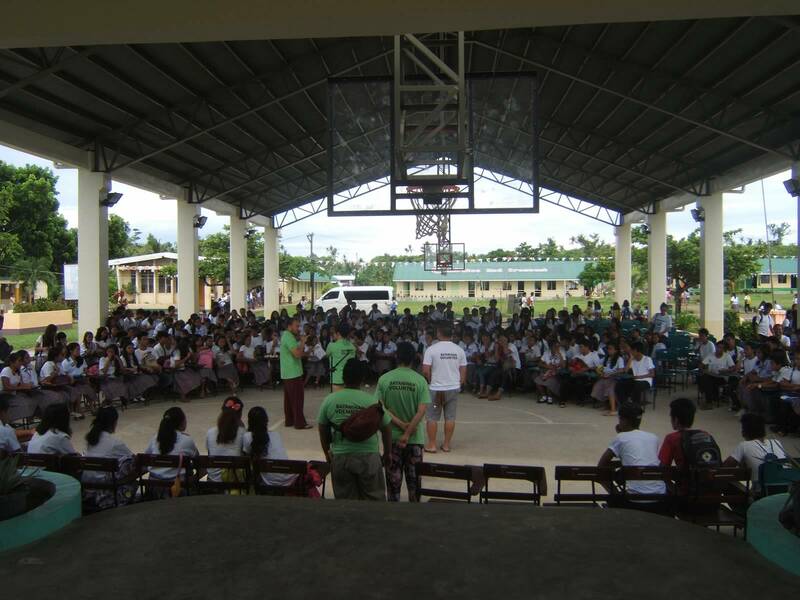 In July 2015, NEXTGEN Fellows and participants of the Kaluluwa Kolectivo led a discussion with hundreds of high school juniors and seniors from Giporlos National Trade School in Giporlos, Samar. They led the students in a discussion about the connection of environmental sustainability, climate change and the recent super typhoon Haiyan that hit the island. A large number of scientists around the world have formed a consensus that overall storm intensity has categorically increased and could be linked to climate change (Vidal & Carrington: Is Climate Change To Blame for Typhoon Haiyan? The Guardian, November 2013). This was the first time the school had ever held such a discussion on global warming and climate change as the Bayanihan Foundation continues its long-term partnership with the school. In 2014, the Foundation donated ten desktop computers. 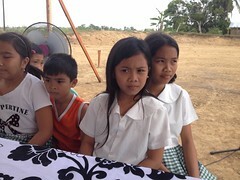 Later in 2015, it plans to donate two public latrines to the school. 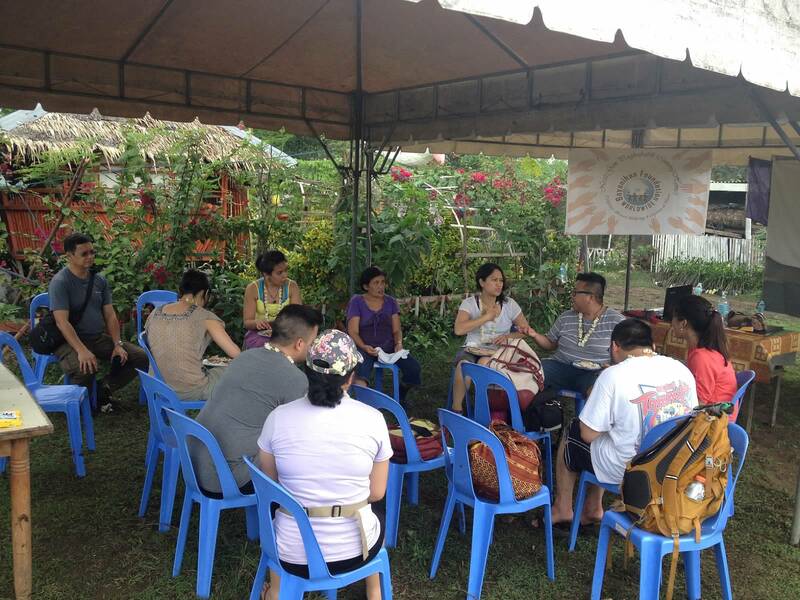 These environmental discussions are part of the Foundation’s long-term efforts to help the region recover from the devastating effects of super typhoon Haiyan and begin the long-term process of community work for positive change. 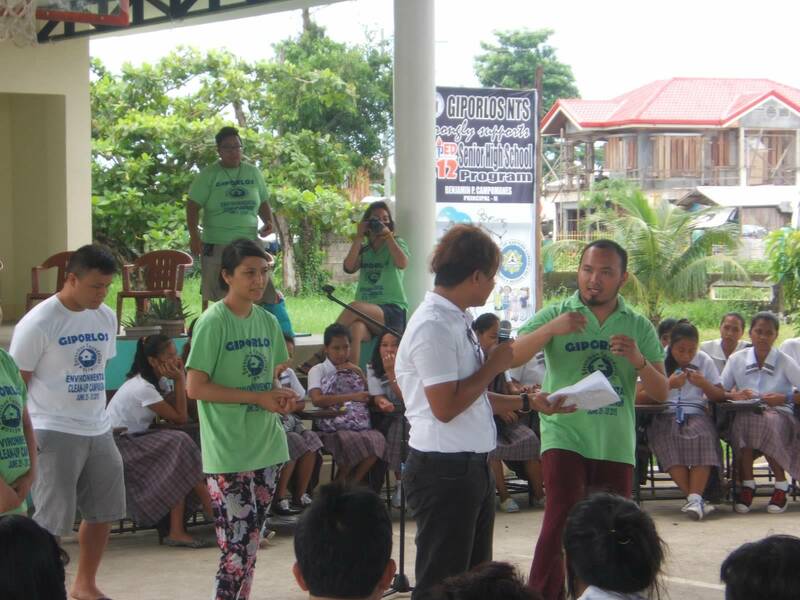 Evelyn Castillo, the Bayanihan Foundation Liaison, led the charge with eight local barangay (village) officials, the Vice Mayor Fritzie Odron, and the municipality of Giporlos to hold the town’s first environmental cleanup effort. In November 2013, super typhoon Haiyan swept through Giporlos and other towns in Samar and Leyte, creating havoc and destruction and leaving behind lots of trash and debris. In July 2015, hundreds of barangay volunteers, including youth from the Giporlos National Trade School, collected over two tons of plastic, garbage, gravel and debris left behind by Haiyan. 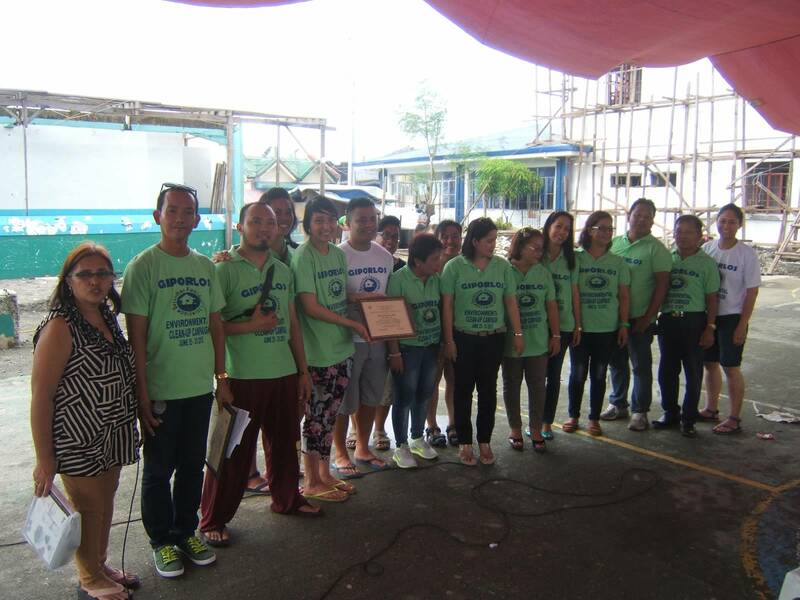 Participants from the Kaluluwa Kolectivo and the NEXTGEN Fellows joined to celebrate this effort and hand out certificates and awards to the winning barangays (villages) that did the most thorough cleanup. While climate change continues to be mired in politics and is a target of naysayers, the increasing amount of trash and plastic in the oceans is an easier issue to address because it is so visible (Parker: Millions of Tons of Plastic in Oceans, Scientist Studying Impact; National Geographic, June 2014). Discussions of global warming and climate change can be overwhelming at times and participants could feel powerless as the discussion is often mired in politics and political stalemate. 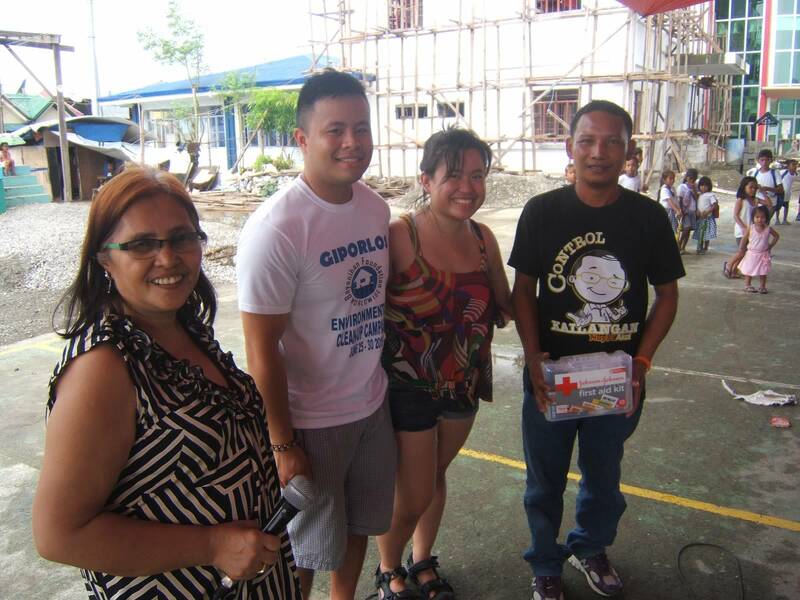 However, the Bayanihan Foundation shows that grassroots community efforts can happen and make a difference. I was fortunate to be able to show the Kaluluwa Kolectivo and NEXTGEN Fellows that the Foundation is leading the charge in creating change. These changes happen with four key partnerships: 1) local community organizations like the Visayas Mindanao People’s Resource Development Center (VMPRDC) and Normalyn Alonso; 2) local municipal government officials and barangay (village) officials; 3) consistent donors who support the idea of long-term partnerships for sustainable change; and 4) investment in the next generation of Filipino Americans for learning and connecting locally and globally. 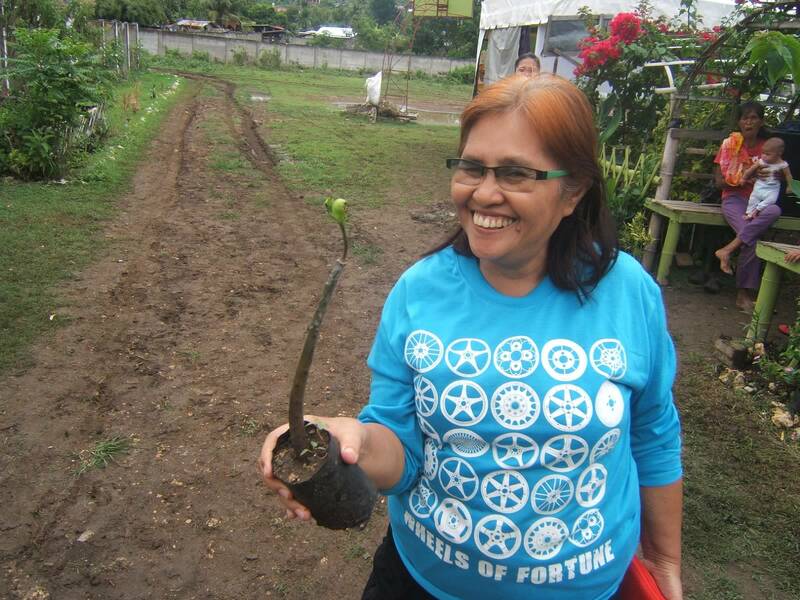 This entry was posted in Diaspora Giving, Philippines, Uncategorized, Youth leadership development and tagged environmental clean up, philanthropy, youth leadership development. Bookmark the permalink. WordPress wants a password–so I’ll say it here–great work, Dale. Maraming salamat! Thank you for reading my blog and for the positive comments. These type of activities is really good and helpful both parties can benefit, it will help in taking a steps in protecting mother earth while it educate the youth / students and every that participates in this activity. 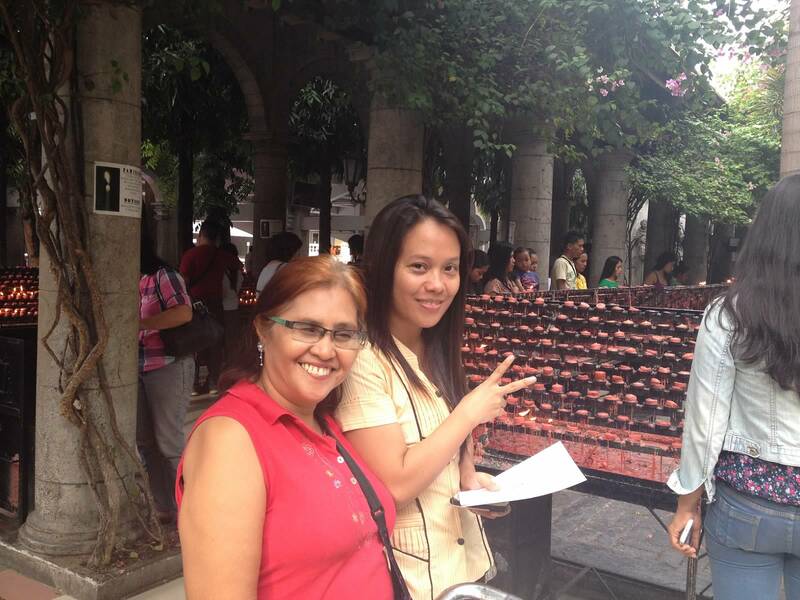 Try introducing it to Universities it will be a good activity specially in NSTP. Thank you for sharing this, God bless. Maraming salamat! Thank you for reading my blog and for your good suggestion to reaching out to local universities and replicating this project with other potential youth and university students as well. Your welcome. The time spend reading the article in your blog is all worth it. Keep up the good work.